The TAB 400 is here. 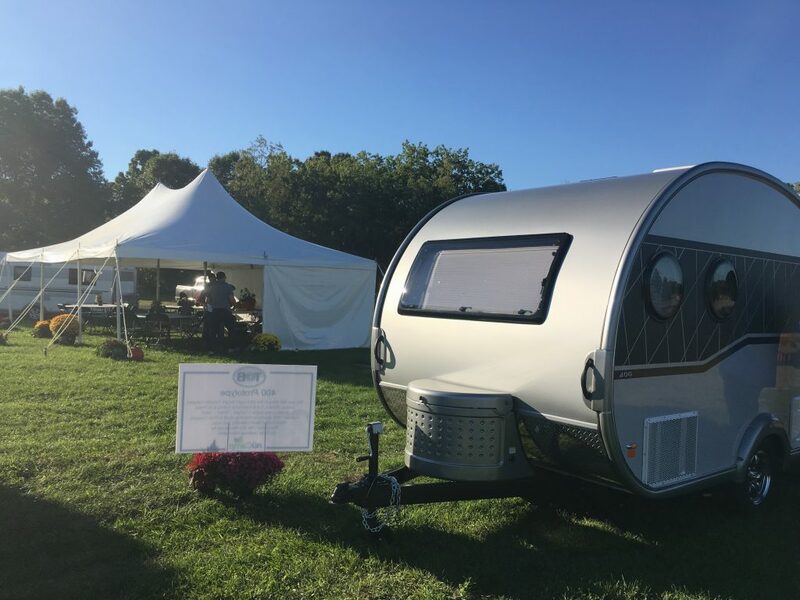 NüCamp RV debuted the prototype for the “next BIG thing in ultra-light-weight towable campers” at the Elkhart RV Open House. Reactions from dealers was ultra swift and ultra positive. The welcome sign only listed some of the many features of the new TAB 400. 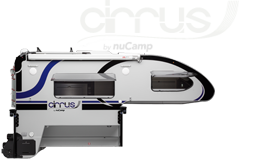 Ample living space but still easy to tow at a target weight of 2,300-2,600 pounds. The TAB 400 is just three feet longer, one foot wider, and one foot taller than the standard TAB. 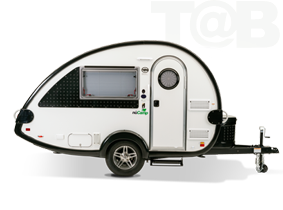 At its apex, the TAB 400 has about 6’7″ of headroom. Separate bedroom area and eating areas. 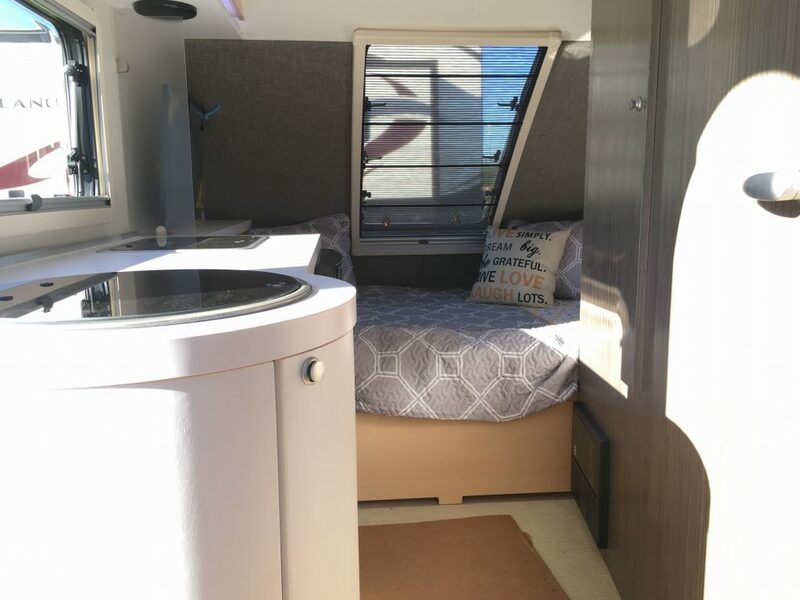 A fully equipped, roomy wet bath, complete with toilet, sink, shower, and built-in storage. 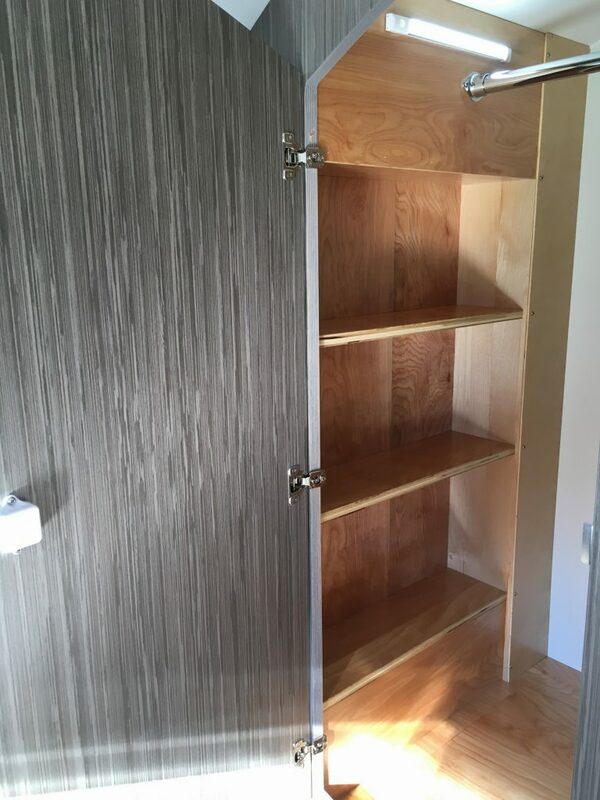 A closet with clothes bar and shelves. 100 percent aluminum framing, ALDE and FROLI systems. The American version was in the design phase for 10 months and was inspired by Europe’s TAB 400. 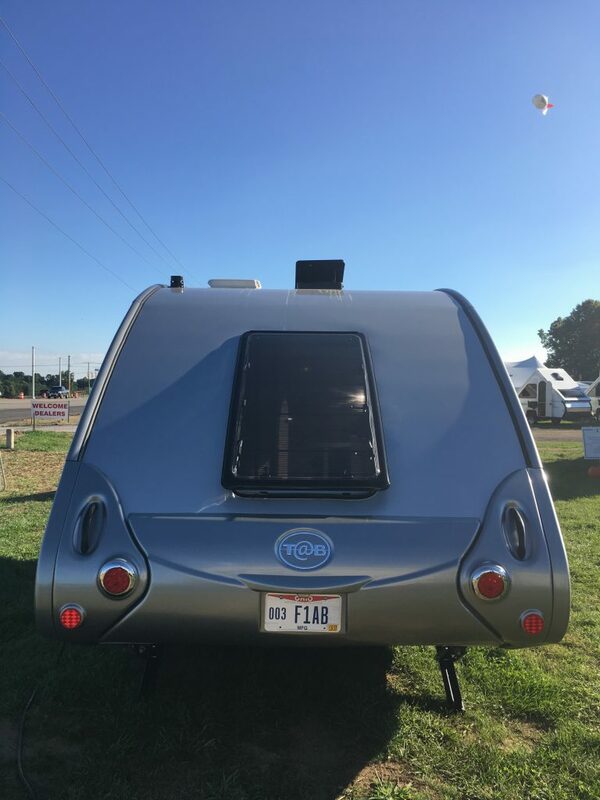 Therefore, nüCamp RV designed it in response to TAB fans and owners who had seen the European model and wanted to get their own, said Allen Miller, nüCamp’s director of R&D. 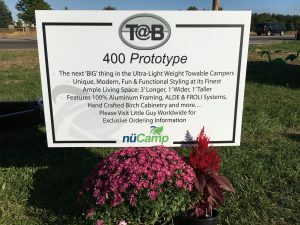 The TAB 400 is expected to go into production early in 2017, according to Scott Hubble, chief executive officer of nüCamp RV. Pricing for the new model has not been established yet. 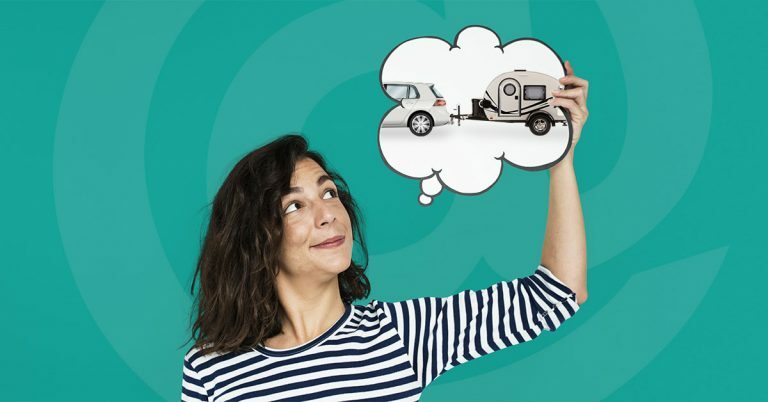 “But our dealers are independently owned and operated and can set their price for their markets,” Hubble said. 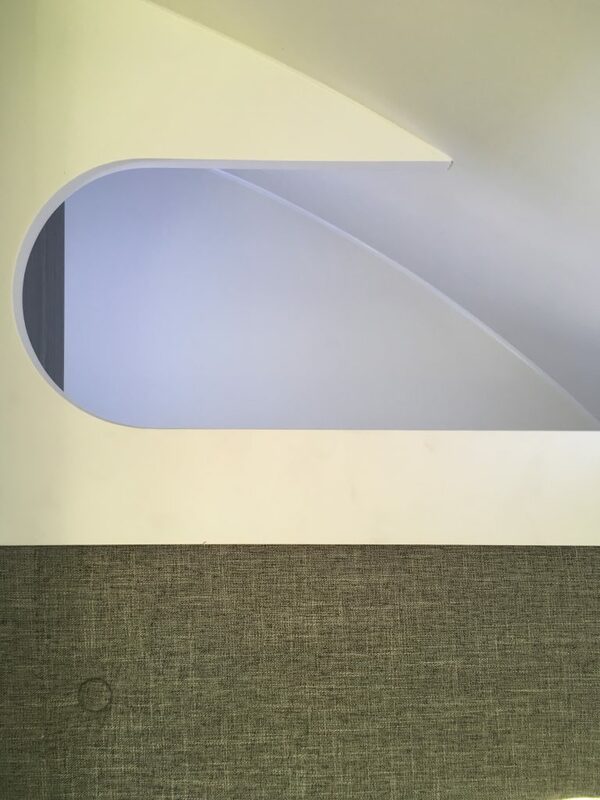 Our Facebook post yesterday made it clear that TAB fans are eager to see photos of the new model – hence the photos below. 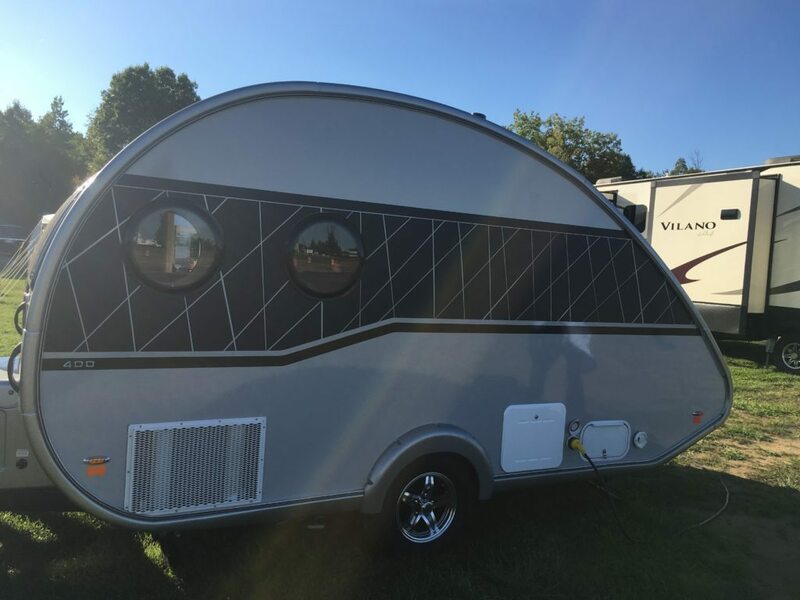 Rear view of TAB 400 prototype, a silver and black teardrop camper featuring a curved window over the rear queen-size bed. 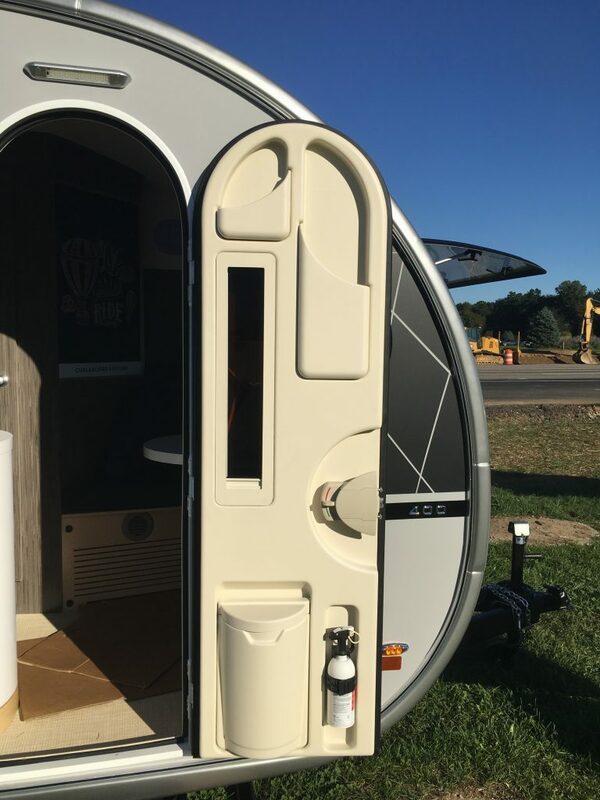 The driver’s side features porthole windows which is a completely new look. 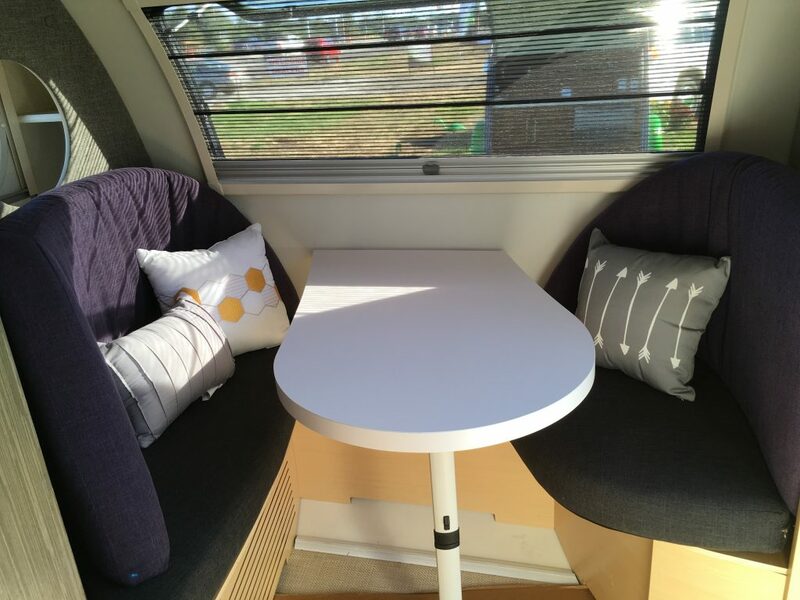 A look at the front of the TAB 400, with a window over the table area, which also converts to a single bed. The door features a handy covered trash container, storage pockets, and a fire extinguisher. 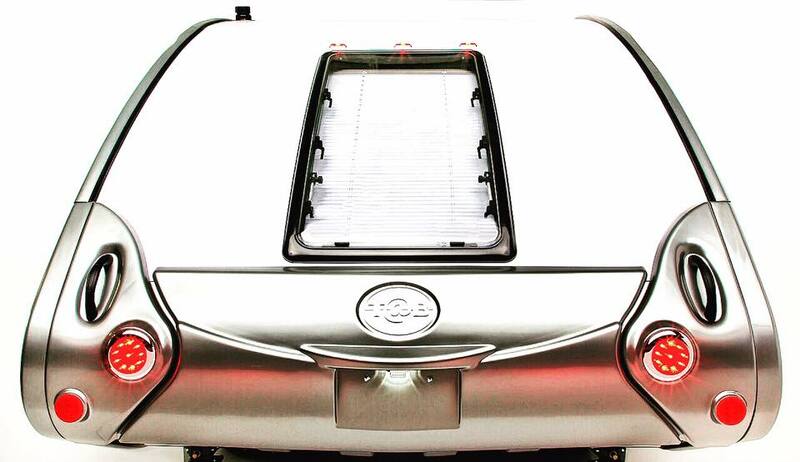 The front of the camper features a sleek, curved seating area. 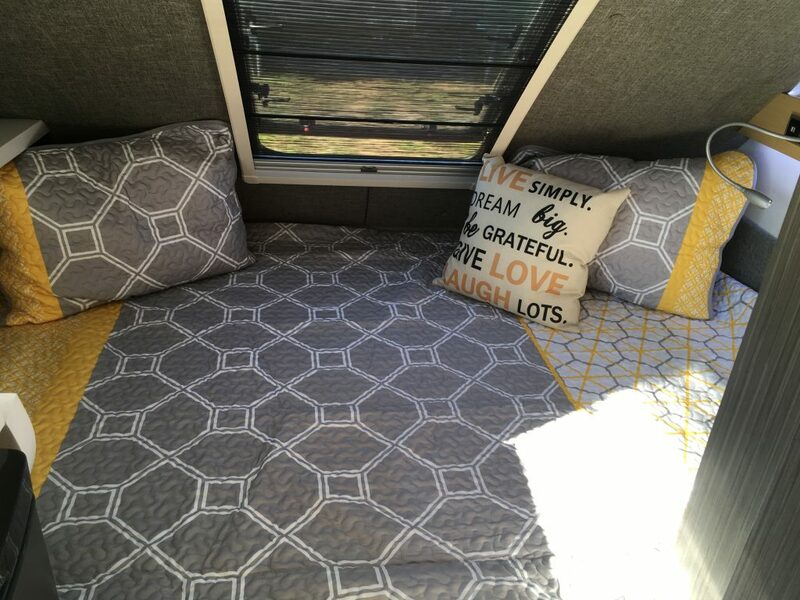 In addition to the new design, the table and cushions also fold down into a twin bed with a length of about 80 inches. The queen-size bed is always ready for napping, reading, or viewing. 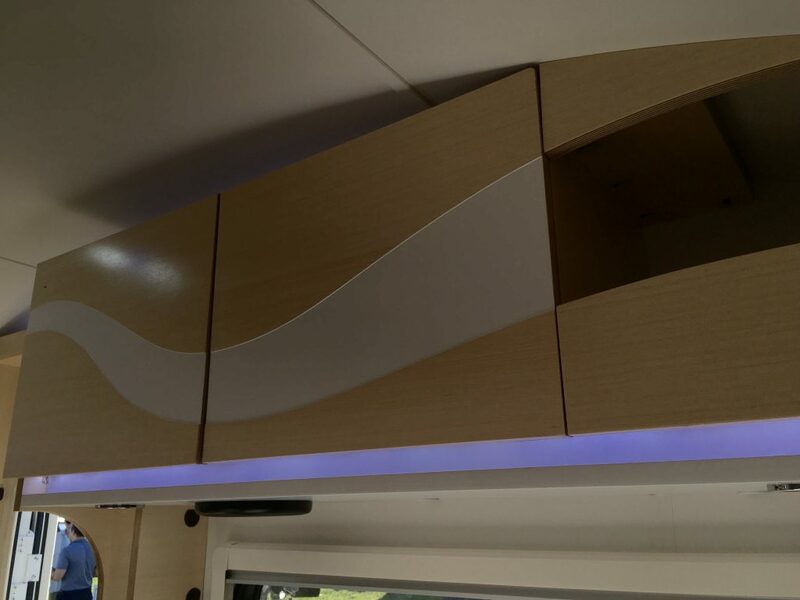 Adjustable LED lamps light up the head of the bed, with a TV at the foot and a large window on the side. 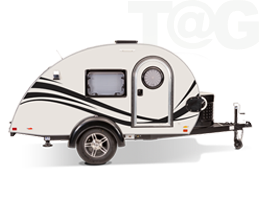 A fully enclosed closet, with shelves and closet rod, makes living easy in the TAB 400. 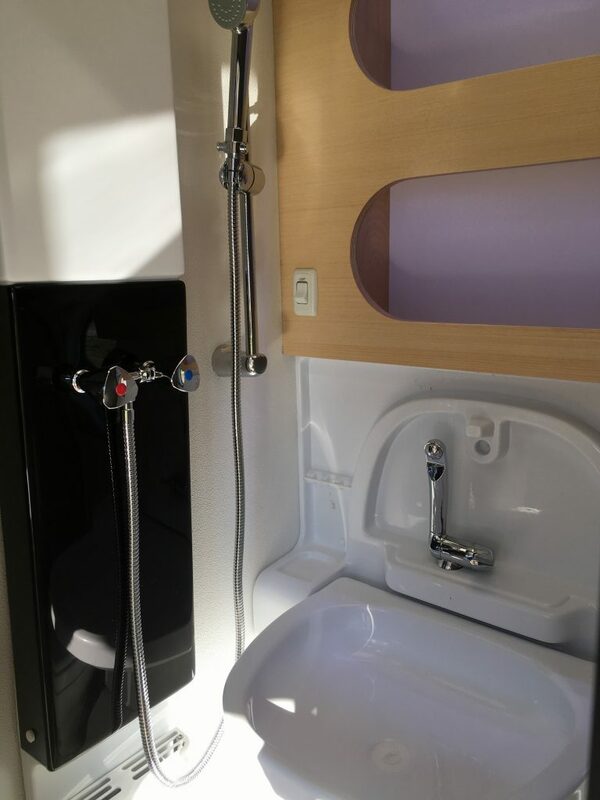 The wet bath, which features a shower, fold-down sink, toilet, and built-in storage, including toothbrush holders at the sink. Not shown in this photo is the commode located to the far right, which accommodates even the big and tall. The kitchen area includes a round sink with a two-burner stove, a refrigerator, and plenty of hand-crafted birch cabinetry for storage. The kitchen features sleek, hand-crafted birch cabinetry, which earned it a Wow! factor. The TAB 400 takes advantage of every nook and cranny. Here’s a storage cubby at the foot of the bed. 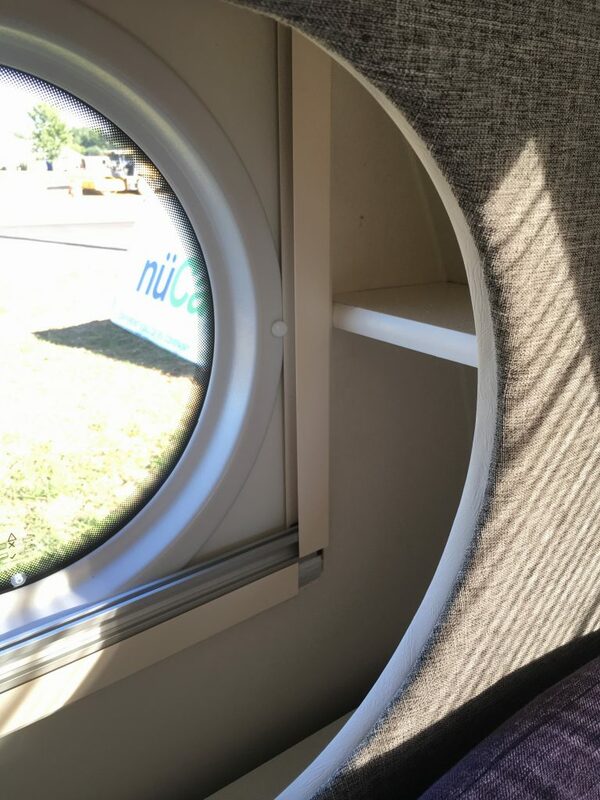 The porthole windows feature unique storage shelves. 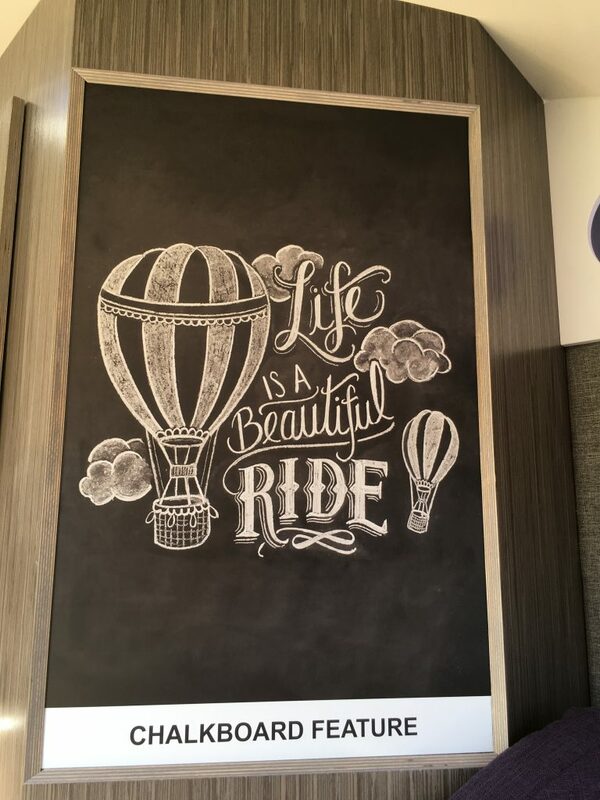 Life is a beautiful ride in the TAB 400, which is why that message is displayed on the large chalkboard located inside the prototype.